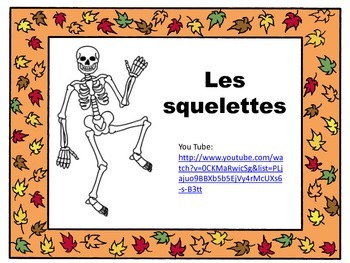 The youtube video of 'les squelettes', is a cute French Halloween song that can help your student learn language, learn to listen and pronounce themed vocabulary. The words are provided to help with the language and to help follow along. 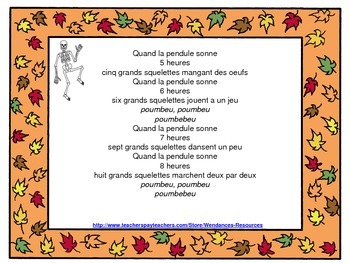 Additional activities could be to work on time as the repeated phrase in the song is about when the hour hits 1pm-midnight. 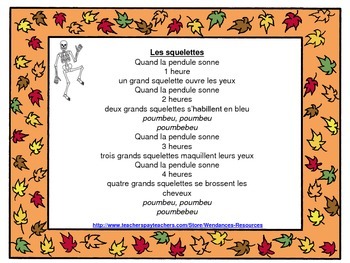 Multiple students could use this to create a tableau or visual representation of the various scenes throughout the song.